I cannot remember when was the first time I got a bottle of Jurlique Rosewater Balancing Mist. It was probably part of my more significan at the time purchase of my all time favorite Herbal Recovery Gel. However, soon after, I really got to appreciate the benefits of this product. It is a truly versatile product that canbe used either as part of your morning skin care routine in place of a toner or reapplied throughout the day as a hydrating mist. No need to say that the soft, classy and relaxing scent of rose veils over your face with every spray and is simply amazing. The delicate and ethereal nature of Jurlique Rosewater Balancing Mist might make you underestimate its benefits. However, I’ve learned that it helps to restore and hydrate the complexion and, hence, is ideal for dry summer and winter seasons when skin is need of extra hydration. The product is suitable for both normal and combination skin types, of which I am the latest and I never experienced any discomfort or irritation when using this product. After using it only several times as a toner, my skin felt refreshed, balanced and soothed. I also like to use extra hydration during and after my beach vacations, so I tend to carry the Jurlique Rosewater Balancing Mist with me almost all the time. If you shop at Jurlique’s site during pre-holiday time, you might get a chance to buy a travel size bottle of this amazing mist that you can carry with you on the plane. I noticed that it helps to balance, restore and hydrate skin, especially on those long flights. Among other not so visible properties of the mist is the so needed natural antioxidant protection that is required in our polluted environment. 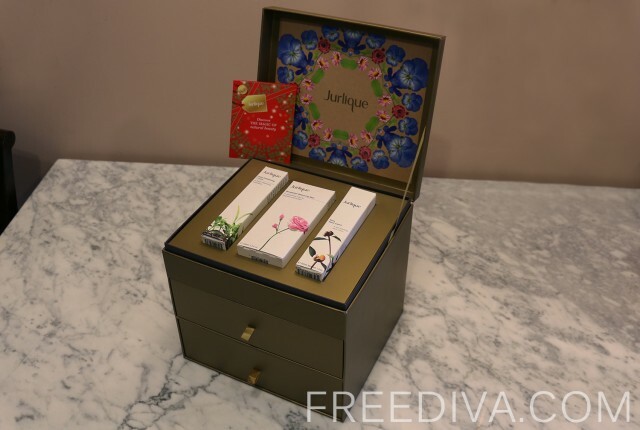 The selection of natural ingredients that are packed in this product and any other Jurlique product makes it so beneficial as compared to similar products from other brands. The Marshmallow and Glycerin help prevent moisture loss and intensely hydrate and soften the skin, while Rose and Aloe Vera soften, soothe and calm the skin. The Grapefruit Seed provides antioxidant protection. I keep a bottle of the Jurlique Rosewater Balancing Mist in my vanity cabinet all the time and when Limited Editions of this product are released in unique and beautiful bottles, I always get mine.